Speakers are urged to use real-world examples and case studies, preferably with costings if available, and are requested to avoid overt commercial/advertising messages. Final conference materials (written article, powerpoint and short biography) must be with the organisers by 4 May. 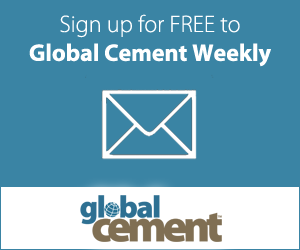 Speakers must register for the conference - cement-producer speakers register free. Main points: Authors should supply the biography and finalised Powerpoint presentation by 4 May at the latest! Confirmed authors are included in the conference programme on the web site. Presenters are strongly encouraged to include new information in their presentations. Authors should use metric units throughout their presentations. The powerpoint slides of all presenters will be included in the conference proceedings. You should supply the final version of your powerpoint presentation by 4 May. This will allow the organisers to compile the proceedings volume (and conference CD) for distribution to delegates. All presenters must also send, at the same time, a short biography (around 100 words), which allow the session moderator to introduce them. Presenters will have 25 minutes each to give their presentation, and five minutes will then be allowed for questions. Please note that, in theory and in practice, presentations/questions are not allowed to run over their allotted time. All presentations will be given in English. All presentations should be given using PowerPoint software. Presenters should send a copy of their presentation by email, which will be installed in the correct sequence on the conference laptop computer. If your presentation includes any video clips, send using DropBox or similar, prior to the conference. If your material is not with the organisers by the deadline, your presentation will be deleted from the programme and placed on a waiting list, and you will be charged the full delegate registration rate applicable at that time to attend the conference - even as a speaker. So, you see, we are serious about receiving your conference materials on time! Download conference logo: (click & hold on the image below, then save the image). 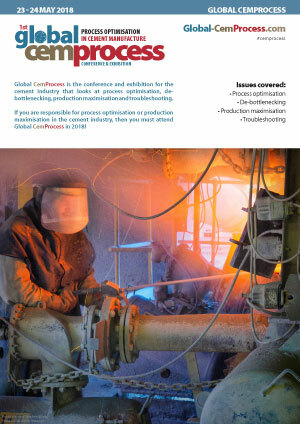 The conference questionnaire will include a section allowing delegates to vote for their favourite presentations at Global CemProcess Conference. A small prize will be awarded to the presenter of the 'best' presentation, at the informal reception at the end of the conference. Global CemProcess Conference will be hard work, but will be rewarding and will also be a lot of fun. The convenors of the conference would like to thank all presenters for their hard work. • Don’t stand too close to the microphone: think of your listeners. You wouldn’t shout in their ears... and standing at a sensible distance from the mike also avoids ‘popping,’ where a pronounced ‘p’ can make an amplified booming sound. • Never ask for questions in the middle or at the end: Questions in the middle break up the flow of your talk. Even if you have given a good talk and you ask for questions at the end, you will inevitably be confronted by an embarrassing silence. At the end, simply say “Thank you very much.” There will be applause: Then the chairman will ask for questions. Simple. • Familiarise yourself with the lecturn/computer/microphone/laser pointer etc well before your allotted presentation time. On the day, don’t blame anyone else if you didn’t do your homework!